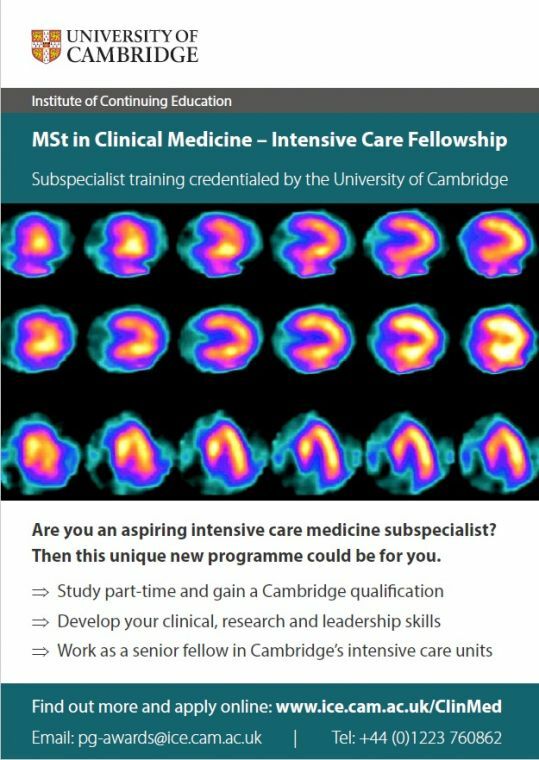 Cambridge University Health Partners, the Academic Health Sciences Centre and the Institute for Continuing Education at the University of Cambridge are pleased to offer the new Cambridge Clinical Medicine (Intensive Care Medicine) Programme. We would like to draw your attention to this new course for aspiring tertiary centre intensivists. We will shortly be opening our applications for 2017 entry and we would be very grateful if you could pass the information to any of your colleagues who may be interested.